Late lunch? Long lunch? Sore throat coming on? As a wise bear once told me, “Nothing is impossible, yet I do nothing every day.” Okay, maybe that’s the wrong context, but the Ducks found themselves in the NCAA tournament, something I may have said was not going to happen. … That’s all behind us now, though, so let’s look at the positives. I did say Dana Altman does best when the team buys in, and that’s what happened! This team did not get into the tournament because of the its reputation or the coach’s name. They fought to be here. They earned the right to be here. And they aren’t planning on going home any time soon. This is not some mid-major team full of guys who will be dominating your city league in six years. This is an Oregon team with NBA talent, a puncher’s chance attitude and a desire to show the world what they can do. 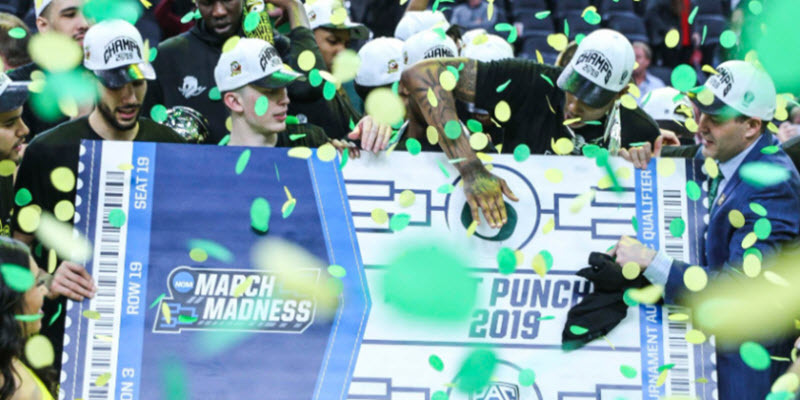 The Ducks beat the top three seeds in the Pac-12 tournament — no small feat. They willed themselves to a Pac-12 tournament title and an NCAA tournament bid, against all odds. I don’t think this is a fluke either. This team is getting hot at precisely the right moment. It’s not how you start; it’s how you finish. And this squad isn’t finished yet. Oregon received the ideal opening-round tournament draw. No disrespect to Wisconsin, but they are the weakest five seed in the field. As of Thursday night, Vegas has Wisconsin as mere two-point favorites; it’s essentially a pick ’em. The Ducks have a good shot to make a deep run in the Tournament, not just play spoiler. If the bracket goes chalk and the Ducks win today and on Sunday, they’ll play Virginia in the Sweet 16. If last year’s tournament is any indication, Virginia is beatable. Who says Oregon can’t make the Elite Eight? After losing Bol Bol and playing below their potential until the very end of the season, a run to the Elite Eight would be nothing short of a miracle. And yet, it’s a very realistic possibility. Unfortunately, I couldn’t find the odds for making the Sweet 16. I wish I could have, because there’s a good chance that Oregon is going to be playing in the second weekend. Disregard what I wrote a few weeks ago. … I am a believer once again. Print the shirts: Oregon is in the Sweet 16! The Ducks have been an odd team to watch since Bol went down nine games into the season. Nobody has grabbed that Michael Jordan, “this-is-my-team-and-we-are-winning” leadership role. In other words, we don’t have a Lady Gaga. This year, the team is the star. This is Spurs-type collegiate basketball at its finest. It’s not about one guy; it’s about the team. Altman is doing Altman things, and Oregon fans are rightfully excited. So grab a seat at Primetime, Side Bar, Taylor’s, Billy Macs, at home or wherever you consider your favorite place to watch a Duck game, and settle in for a great Friday late/long lunch. And if you can swing it, extend your lunch to watch the Women’s team later on. 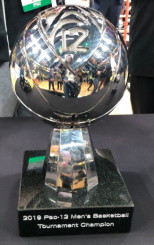 With a little luck, we can watch two Oregon Duck tournament basketball games back-to-back, one in San Jose and the other in Eugene. The big question: can The Duck make both games? Editor’s Note: This article will serve as FishDuck.com’s “Gameday Thread” for both the Men’s and Women’s NCAA Tournament matchups this afternoon. We welcome you to not only share your thoughts about the article in the comments section below, but feel free follow this thread throughout the day to post your general thoughts and updates about the games as they occur. Go Ducks!